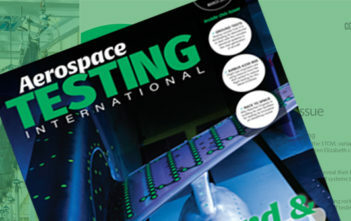 Established in 1984, Data Physics is a leading global supplier of high performance noise and vibration test solutions. Data Physics offers dynamic signal analyzers, closed-loop vibration controllers, electrodynamic shakers and accessories, and specialty acoustics products and services. SignalCalc Dynamic Signal Analyzers provide the best in performance for portable measurement as well as large channel count acquisition and analysis. The 900 Series Dynamic Signal Analyzers integrate comprehensive signal analysis capabilities with a new distributed real-time signal processing engine to provide extraordinary dynamic testing capabilities. Compact and rugged, the 900 Series hardware is designed for demanding field applications. With a modular, gigabit Ethernet architecture, the 900 Series can be expanded to over 1,000 channels for laboratory use. 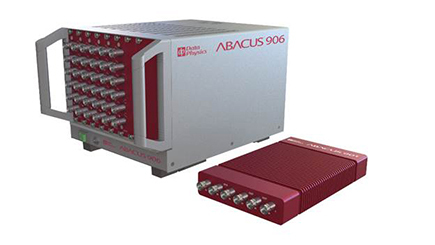 The new Abacus 900 Series hardware platform is a powerful, real-time, distributed digital signal processing system. SignalCalc Turbo is the turbomachinery vibration analyzer from Data Physics that delivers top-tier machinery diagnostics capability in a straightforward, easy to use package. Innovative features such as multi frequency sine control keep SignalStar Vibration Controllers on the cutting edge of technology. SignalForce Electrodynamic Shakers are offered in a wide force range for applications ranging from medical device to satellite testing. 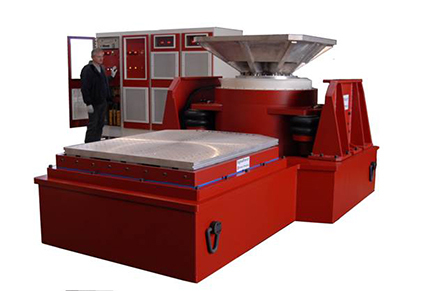 Data Physics is a global supplier of complete vibration test systems including vibration shaker tables, shakers, power amplifiers, slip tables, head expanders, custom fixtures, vibration controllers, and dynamic signal analyzers. This complete range of vibration test equipment makes Data Physics an ideal partner for nearly any vibration testing application. 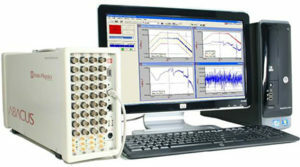 Data Physics manufactures its full line of hardware and software products in the USA and UK. 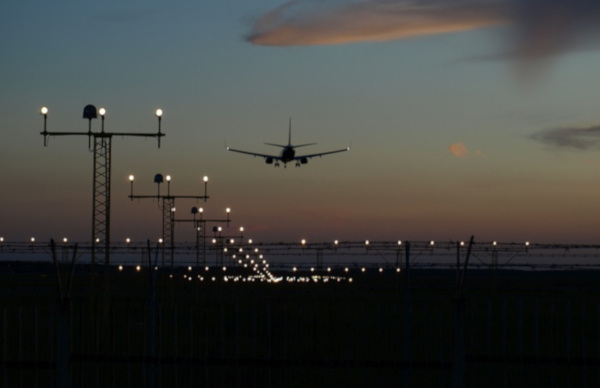 Over 5000 DP systems are installed worldwide at all leading Automotive, Aerospace, Military & Defense, Industrial, Consumer Electronics Manufacturers and Educational Institutions. Attend our webinars or contact our Sales team for more information and consultation! Data Physics is part of NVT GROUP (DP, Team and Lansmont) – a leading global provider of test and measurement solutions.